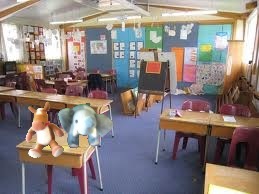 As children all over are heading back to school to learn and grow, we here at University of E&E want to celebrate amazingly intelligent animal friends! And you humans thought you were smart! Scientists all over the world are realizing that animals can learn language, use tools and even recognize themselves in a mirror. We’re off to the rainforests of West Africa to meet our first smarty and human kinds’ closet living relative! 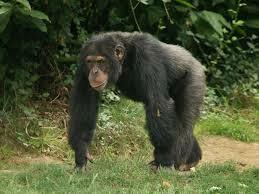 • Chimpanzees are highly social and live in complex social groups. • They can make 30 plus different kinds of calls and vocalizations. • Chimpanzees have a wide variety of facial expressions. • Chimpanzees are tool users and tool makers. They make tools from sticks and extract termites or ants with the stick. They also use things like rocks to crack open nuts. • They build nests to sleep in at night. They build a new one every night. 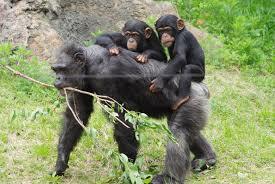 • Chimpanzees learn tool making/using behavior from their mothers and other chimps. • They use cooperative and complex hunting skills to capture live prey. 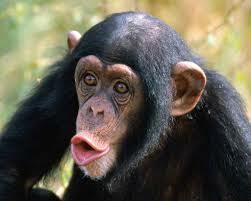 • Chimpanzees have been known to learn sign language. • They can recognize themselves in a mirror. We could go on and on about these amazing apes! We still have so much to learn from them. There is even a Bonobo chimp who has learned complex language named Kanzi, read more about him here. Sadly, these apes are very endangered and it critically important that we all work to ensure their future. Jane Goodall, one of our personal heroes, has been studying and working with chimpanzees for many years. 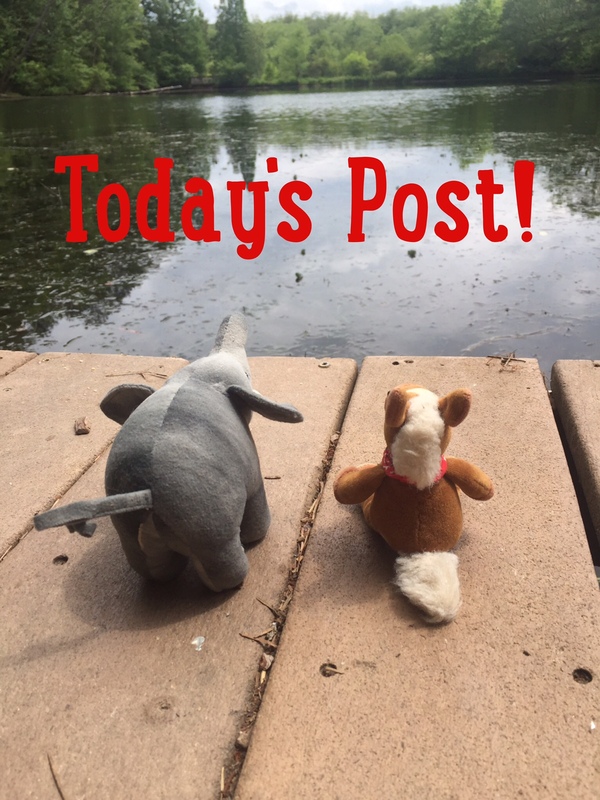 The Jane Goodall Institute is great place to learn more about how to help the apes! Those guys are lucky to have so many facial expressions. I only have two – scared and worried.